The media is always reminding parents about the prevalence of obesity in young children. Not only is daily activity and exercise a necessary component, but so is eating healthy. One of the most important food groups is vegetables, which provide kids with much-needed nutrients and antioxidants. It also happens to be the least favorite food group among kids. Yet just because veggies don’t live up to the taste of chocolate doesn’t mean there is no hope. 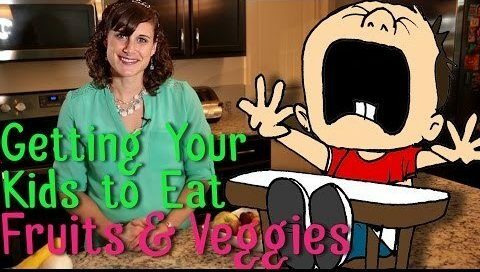 In fact, with a little determination, kids can learn to love the taste of veggies. The sooner vegetables are worked into kids’ palates, the more likely they will be to try and like them. In fact, studies show that pregnant women who eat veggies are more likely to have infants that like them. If nursing a young infant, it’s also worthwhile to incorporate vegetables into the diet, as the baby will learn to enjoy the tastes that are passed through the milk. Once solids are incorporated into a baby’s diet, he or she will be more apt to enjoying the taste of veggies . For an added benefit, puree vegetables and stick to seasonal varieties that are freshest. This limits salt and sugar additives, as well as encourages young children to enjoy the natural tastes of veggies. Once children reach the age of four, they become more resistant to trying new foods, so use the first few years as an opportunity to offer a wide palate of vegetables. Children ages 2 to 6 should have at least three servings of vegetables each day. An example of a serving is a ½ cup chopped vegetables, a medium potato or ¾ cup of vegetable juice. To meet these needs, serve a cup of juice with breakfast, ½ cup peas and carrots with lunch and sweet potato wedges at dinner. When part of a normal routine, children won’t balk at the sight of vegetables. There is more to eating vegetables than just offering them, however. Some children are naturally resistant to trying new and unfamiliar foods. Try serving the vegetables in creative ways that are enticing to kids. One idea is ants on a log, which is made by placing cream cheese on celery sticks and lining them with raisins. Also let kids take part in cooking by offering recipes where they get to make their own tacos or veggie pizzas. No matter how much children resist, continue to offer vegetables. Make sure to serve the same meals to the whole family, and set a good example by also eating a wide variety of vegetables. Children learn best by example. When children do work up the courage to try new foods, don’t make a big deal. Show them that vegetables are a standard part of any diet and don’t require a reward for eating. If these solutions don’t work, some sneaky preparation may be in order. Grate carrot skins into spaghetti sauce, make veggie smoothies or add spinach to macaroni and cheese. I know! You wish that your kids ate anything and everything you put in front of them. However, it seems that way too often your child just won’t eat the healthy stuff. I believe that there are many different methods you can use to get your little one to develop a healthy diet. First we need to address WHAT they need to be eating. Whether its Fresh, Frozen, or Canned I say eat them all! However, you do want to be aware of the following. With the frozen and canned fruits you do need to watch out for added sugars. Be sure that your label says 100% juice. With frozen veggies you need to watch out for butter and cream sauces that have been added. With canned and frozen veggies watch out for added salt. If you look closely you will be able to find the label no sodium added. 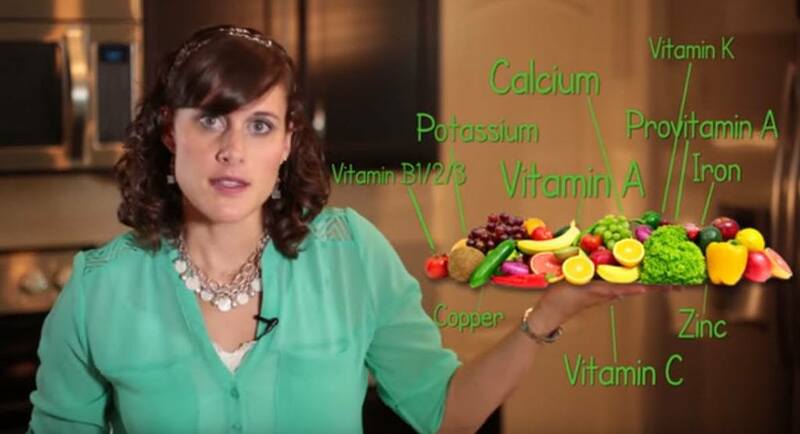 Ok.
We all know that we should be eating fruits and vegetables, but WHY? It’s because these foods are full of vitamins and minerals. This helps give us energy and fight disease like heart disease and some cancers. HOW MUCH should I be feeding my child you ask? 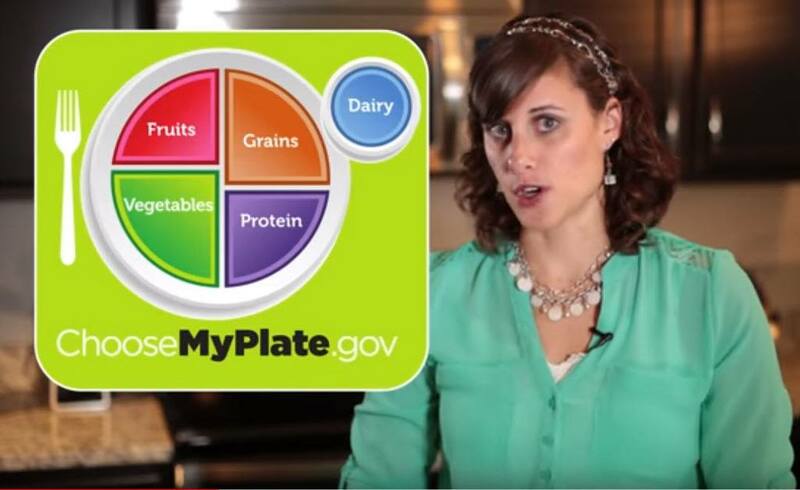 A rule to always follow according to the MyPlate guideline is to make half your plate vegetables and fruit. The exact amounts for your child depends on their age. And you can find the right amount here. If eating fruits and veggies isn’t a part of your child’s daily diet, this may seem overwhelming. WHEN do I incorporate all of those foods into their day? Keep it simple and incorporate a little in every meal, including snacks. The important thing is NOT to get your children to eat fruits and vegetables it’s to get them to eventually like fruits and vegetables. In order for this to happen you need to start early. Taste buds are being developed at an early age. Sometimes it takes up to 10 times for a child to like something. Always enforce the 1-bite rule. This means that the child must try at least 1 bite, even if they don’t take another bite of that food the rest of the meal. Now, if YOU aren’t eating fruits and vegetables, the chance of your child eating them is near improbable. Your taste buds can change too. We adults can even be more stubborn than our children at times. So please set the example and don’t be afraid to try new things. Fruits and vegetables take on different flavors depending on what they are cooked with and how they are prepared. For some ideas on preparation click this link right here. Get creative with the spices and condiments. Ok! I’m getting hungry. Hiding fruits and veggies is also a great tool to have in your apron. If you child absolutely refuses any and every fruit and vegetable you put into their meal plan try hiding the unwanted foods. Jessica Seinfeld has a great recipe book on how to hide fruits and vegetables in dishes like muffins, cakes, and even childhood favorites like mac and cheese. Use kale, tomatoes, mushrooms, and peppers in pizza and pasta sauces. You can also create healthy, and tasty, smoothies with pretty much any fruit and vegetable. And Muffins!!! What child doesn’t like muffins? And please, Don’t be deceived by what the food industry tries to tell you. Eating healthy does not mean it’s more expensive. Research has found that an adult on a 2000 calorie diet, could follow the fruit and vegetable guidelines of 4 1/2 cups at a cost of $2 – $on average per day. And that much is way more nutritious and filling than a burger and fries you can get at a nearby fast-food joint. According to research, on average, veggies and fruit items were $.31 per portion and unhealthy snacks were $.33 per portion. And check out this cost-comparison chart. You can spend $1 on a 4 ounce bag of chips and get nothing but calories from fat and salt. Or spend the same amount of money on 1 and 1/4 pound of carrots filled with vitamins, minerals, fiber and antioxidants. Or eat two small cookies, and still be hungry. Or eat 3 small apples and be filled with great nutrition. The next time your child gives you the gag look when you place veggies and fruits down in front of them don’t loose hope. Try these tips and see if your children not only start liking veggies and fruits but they start asking for them. Oh! And don’t faint when that happens. 1. Make losing weight a family affair. Rather than just concentrating on your teen, try to adopt healthy habits as a family. Eating healthier foods at home and getting more exercise is good for the whole family. Try to encourage family members to eat more fruits, veggies and whole grains. Prepare menus that contain healthy food groups to ensure that your family is getting all the nutrients that they need. Practice leaving junk food when you do your shopping at the grocery store. Healthy foods may sometimes cost you more, but it’ is worth investing in as it concerns the health of your whole family. 2. Allow occasional treats as a break from the usual. That late-night pizza with friends or nachos at the mall doesn’t need to be totally excluded from your teen’s healthy-eating plan. Suggest a healthier alternative instead such as breadstick and marinara sauce instead of garlic bread dripping in butter and cheese. You can also opt for ordering a shared snack instead of a full-size order to lessen the portions. You can let your teen know that he or she can also have control over his or her eating choices and an occasional indulgence is acceptable. A trend towards developing healthier habits is what really matters rather than banishing your kid’s favorite food totally. 3. Plan fun and highly active family outings, such as regular walks at the park or weekend visits to a local recreation center. Such activities can greatly help keep your kids stay active. And not only that, such activities can also be a great way for the whole family to bond and enjoy each one’s company. 4. Be positive. With your kids being overweight, their feelings should also be put into consideration. How they feel about themselves can affect their motivation to lose weight. As a parent, you can actually influence how your kids will feel about themselves. You must help them realize that being overweight doesn’t inevitably lead to a lifetime of having low self-esteem. Your acceptance of their condition is critical. Try to listen to your teen’s concerns. Provide positive comment on his or her efforts, skills and accomplishments. You must always make it clear that your love and concern is unconditional and that it is not dependent on weight loss. This will make them more secure as well as confident in trying to motivate himself or herself from losing weight. You can help your teen learn healthy ways of being more open in express his or her feelings. 5. Eat breakfast. This is usually a thing that is lightly taken in many families. But breakfast can really help your teen from keeping off those extra pounds. It may take some constant urging for your teen to get up early for breakfast, but always bear in mind that it is important. A well-balanced nutritious breakfast at the start of the day will jump-start your teen’s metabolism. This meal will be able to give him or her energy to face the day ahead. Even better, feeling full each morning before going out of the house may keep your teen from eating too much during the rest of the day. These are just a few of the many things that you can do to help your teen from getting rid of excess pounds and keeping it off. It may take a bit of work on your part. But the rewards can be seen in knowing that your kids are learning to live a healthier lifestyle and grow and develop into healthy adults.